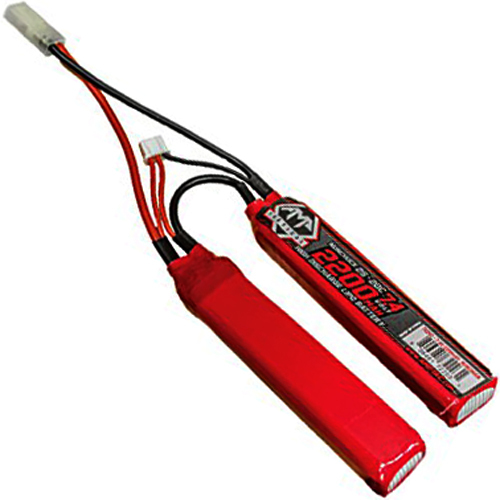 Wire this 2200mAh 7.4V LiPO 20C Butterfly Battery into your crane stock for a perfect fit. Its high discharge rate ensures you get the most power out of your battery and rifle. The mini Tamiya connector guarantees a secure connection.